Celebrating over 87 years on lake wawasee! he Frog Tavern is known as an "Institution...of Sorts". 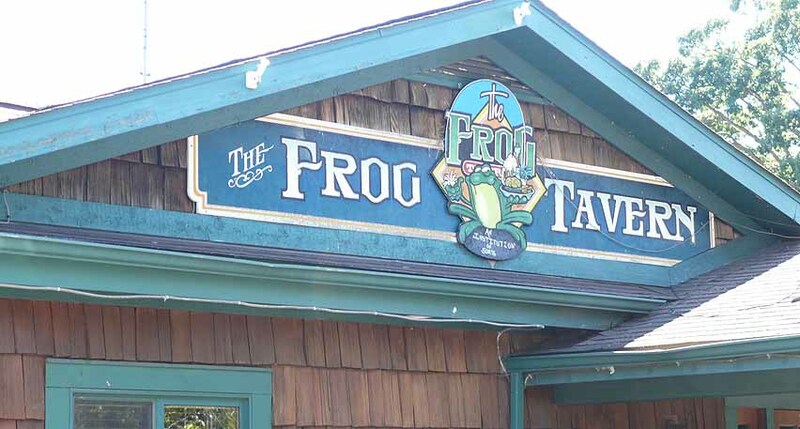 A unique blend of excellent food at an affordable price for the entire family, The Frog Tavern rests upon the shores of Lake Wawasee, in Syracuse, Indiana. Diners can arrive by car, foot or boat and enjoy lunch, dinner or late night entertainment. The Frog brings in some of the best live-band entertainment in Northern Indiana and is one of summer's best hot spots. The Frog serves as the resting dock for their 70-foot dinner houseboat, the S.S. Lillypad. Add us on Facebook for Daily Lunch and Dinner Specials!